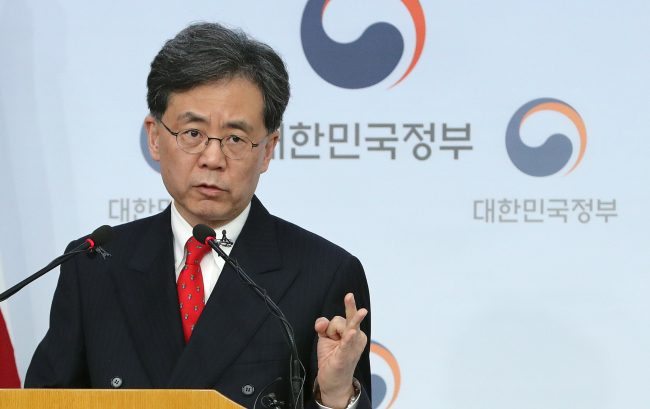 The South Korean government on Thursday demanded the US correct a recent statement concerning the Korea-US bilateral free trade deal amendment, saying that the trade negotiation did not involve a currency cap deal. The refutation came in the wake of reports from Washington late on the previous day that both states had agreed to prohibit deliberate currency devaluation on the sidelines of the Korea-US Free Trade Agreement renegotiation, in which case Seoul’s export-dependent economy would be likely to take a heavy blow. “The exchange rate issue is entirely unrelated to the FTA,” an official of the Ministry of Strategy and Finance said in a press briefing. It was Washington that suggested earlier to include the currency devaluation ban in the FTA talks , ut Seoul’s Finance Ministry rejected the idea, citing the impact on South Korea’s economy and other trade partner states, the official explained. “The US Treasury Department was also taken aback (by the USTR statement). Our conjecture is that the USTR may have mentioned the exchange rate issue to underline its contribution to the FTA revision,” the ministry official said. Seoul’s Finance Ministry has requested its counterpart US Treasury Department to issue an official statement to correct the disputed phrase, according to officials. The ministry also pointed out that the White House’s statement did not directly include the currency factor, indicating that the given claim was not the official stance of the US government. The statement issued under US President Donald Trump’s name only mentioned an ongoing talk to “avoid practices that provide an unfair competitive advantage,” taking exchange rate practices as one of the plausible examples. Despite the government’s stern denial, speculations continued that Seoul may covertly have reached a consensus with Washington on the currency restriction, as a compromising gesture to be exempted from the forthcoming currency manipulator list. The US Treasury Department is set to release its semiannual currency report next month. Seoul, which was put on the “monitoring list” last October, has been making moves to enhance transparency in its foreign exchange market. “Separately from the latest dispute, we are thinking of disclosing details of government interventions in the foreign exchange market, as South Korea is one of the few countries in the Organization for Economic Cooperation and Development not to do so,” the ministry official added.